On August 18, 2016, our firm filed a police chase lawsuit on behalf of Ms. Katrina Sadler. This suit arises out of a deadly police chase that occurred on June 24, 2016, in Rutherford County, Tennessee. The chase involved multiple law enforcement agencies. The City of Manchester Police, Coffee County Sheriff’s Department, and Rutherford County Sheriff’s Department were each involved. Previously, on August 17, 2016, our firm joined a police chase lawsuit filed by Attorney Ivan Lopez on behalf of Jessica Campos (pictured above), who was tragically killed in the same fatal police chase. Ms. Campos’s seven-month-old child was in the car with Ms. Campos, but survived the crash. See Attorney David Randolph Smith’s interview with WSMV’s Nancy Amos below. 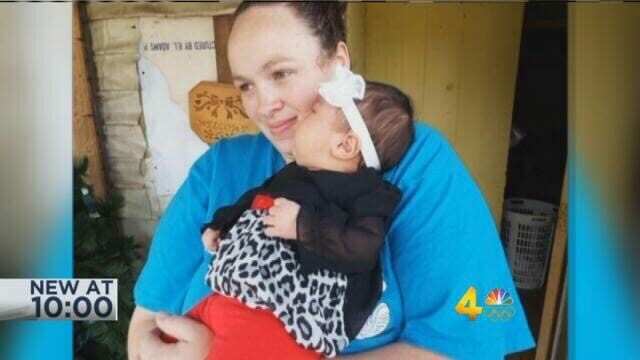 A second lawsuit has been filed in a high-speed chase that ended in a deadly Murfreesboro crash. The latest suit was filed by Katrina Sadler, who was hit and injured during the pursuit. The chase began when police said Garieon Simmons stole an SUV from Manchester Funeral Home, owned by Manchester alderman Tim Kilgore. The suit alleges that Rutherford County deputies never should have chased the suspect at high speeds through rush-hour traffic and the deputy chasing the suspect did not have his sirens turned on at the time of the crash. Jessica Campos, 28, was killed in the police chase. Her family has also filed a $10 million lawsuit in connection to the case. Dash cam video from Rutherford County Deputy Trey Nunley does not indicate his siren is on. His siren is also not heard in the video. “Both by policy and by statute, sirens should be used in a police chase,” Smith said. The new lawsuit also claims the funeral home owner, Kilgore, acted negligently. Authorities said he communicated with police using a police radio and turned on his flashing lights and followed Simmons in the stolen car. As the Channel 4 I-Team reported in July, Kilgore admitted getting on the police radio installed in his car and telling officers, “Take him out,” referring to the suspect who had stolen his vehicle from the funeral home. Kilgore denied he initiated the pursuit. In addition to Ms. Sadler, our firm also represents the Campos family in the first police chase lawsuit filed related to these events. Look for more posts here as this police chase lawsuit progresses.